An Africa safari touches something deep within all of us, for it is an experience that will never be forgotten. The following two safari options follow the same route and combine intriguing cultures, beautiful landscapes and an excellent opportunity for spotting the Big-5. The driver-guides are all very experienced and will certainly make this safari feel special. Overnight at Safari Park Hotel on a bed and breakfast basis. Situated only 10km from the city centre and 20km from the international airport, the lively Safari Park Hotel is really an African-theme resort providing deluxe accommodation in 64 acres of beautifully landscaped gardens and indigenous forest. All of the 204 distinctively designed and decorated rooms are airy and contain television, bathroom facilities and private balconies. Its six restaurants are excellent and cater to all tastes, including Japanese, Chinese, Indian, Italian, English and African. There is also a casino, several bars, health club, tennis and squash courts (golf nearby) and some of Kenya’s most advanced business and conference facilities. Leaving Nairobi after breakfast, you'll travel towards Kenya's fertile highlands and head down the Rift Escarpment on a road built by Italian prisoners of war during World War II. Look for the charming chapel they built at the foot of the escarpment. You'll pass the impressive Longonot earth satellite station as you head across the Valley to Narok, and then travel across acres of wheat and barley, before you reach the Masai Mara in time for lunch. Following lunch and a siesta, there is an afternoon game drive returning to the lodge as the sun sets. Overnight at Mara Sopa Lodge on a full board basis. Leaving the Masai Mara after breakfast, you'll travel across the ‘breadbasket’ of Kenya, where acres of wheat and barley litter the landscape as you head north to Narok, the district headquarters of this part of Maasailand. Now travel across the vast plains on the floor of the Rift Valley, keeping an eye out for herds of giraffe and gazelle as you head up the Mau Escarpment, before arriving at Lake Nakuru lodge for lunch. The waters here are often coloured shimmering flamingo pink, from thousands of the beautiful birds lining its shores. After lunch you will take an afternoon game drive in Nakuru National park before continuing to Lake Nakuru for overnight. Lake Nakuru Lodge is situated in the heart of one of Kenya's most densely populated wetland National Parks, (Ramsar site) only two leisurely hours' drive from Nairobi, through beautiful forested uplands and passing a series of lakes. On the outskirts of the bustling market town of Nakuru lies a truly remarkable national park which has achieved international fame. Both black and white rhino are being given a new lease of life in this 188 sq km, fully-fenced park - and they are carefully protected. The present rhino population is over 50 and continuing to multiply. The Rothschilds giraffe is another rarity and the park has its fair share of buffalo, leopard, zebra, eland, waterbuck and lion. 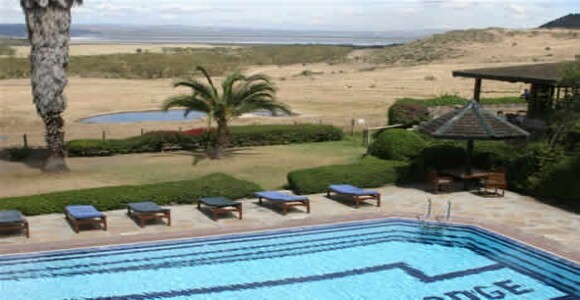 Lake Nakuru Lodge is in the south-east ecological niche of the park, with commanding views of the lake and the flamingos for which it is justly famous. Lush gardens surround the lodge and cottages. There is a good programme of activities and evening entertainment. After an early breakfast you will leave Rift Valley behind, you continue towards Nairobi and collect picnic lunch from Nairobi and then head south towards Amboseli. Enjoy a picnic lunch with an afternoon game drive in the park enroute to the Amboseli Sopa Lodge, arriving in the evening. 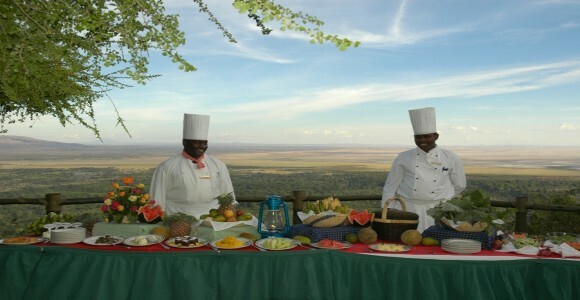 Overnight at Amboseli Sopa Lodge on a full board basis. Set on 200 acres of private land on the foothills of Africa’s highest mountain, Mount Kilimanjaro, the lodge is perfectly poised to provide a luxurious base from which to explore the park and get some great pictures of this incredible mountain. 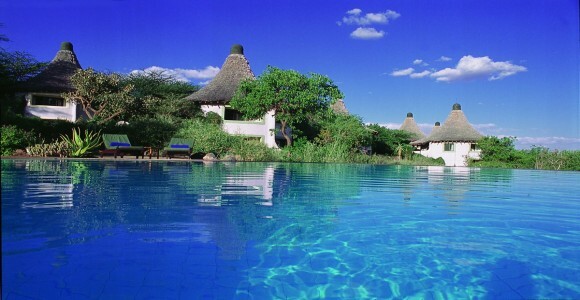 The lodge is also close to where Ernest Hemingway lived whilst writing his famous novel, The Snows of Kilimanjaro. Each of the 47 rooms has their own private veranda on which to relax, sunbathe and take in the views. All rooms are en suite, with walk-in shower, lavatory, wash basin and shaving socket – they’re all modern, spacious and comfortable. Meals are a cosmopolitan combination of European, African and Asian dishes, all made with fresh produce and served from a colourful buffet. There are also several bars, a great pool, TV lounge and many other small niceties that make this a superb location. Depart the lodge after a sumptuous breakfast for a full day game drive, enjoy a hot picnic lunch at a picnic site returning to the lodge by 1600hrs. Overnight at Lake Manyara Serena Lodge on a full board basis. Overnight at Serengeti Sopa Lodge on a full board basis. The Serengeti Sopa lodge is located in the Nyarboro Hills in the south west of the Serengeti National Park and is the only tourism development in this section of the park. Year round water and the acacia woodland in this area create an ideal environment for the wide variety of wildlife seen in the immediate vicinity of the lodge. Looking out over the seemingly endless Serengeti plains, this hill side lodge is a tranquil oasis set in thousands of square kilometres of Serengeti National Park. The lodge can accommodate around 170 guests in 79 suites, each enjoying wall-to-wall carpeting, a private lounge with a mini bar, a bedroom with two queen size beds and ample room for a third guest. 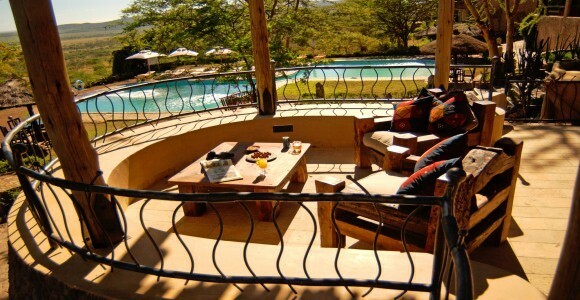 Each has a private veranda which offers stunning views over the plains. As the sun sets, you may enjoy sundowner cocktails by the pool, and in the evening, after a 4-course dinner, traditional dancers entertain guests. Slide presentations are also held daily by resident naturalists. Overnight at Ngorongoro Sopa Lodge on a full board basis. A highlight awaits you this morning as you depart to explore what is commonly referred to as the World’s largest natural wildlife zoo. After breakfast, you descend with a picnic lunch through the early morning mists and 2,000 feet into the crater. Ngorongoro Crater is the World’s largest intact volcanic caldera. Due to its size and diversity, the crater floor is comprised of several distinct areas, ranging from forest, swamps, lakes and springs, to open grassland and some sandy dunes. It’s an awesome wildlife experience. You return to the lodge in the late afternoon for dinner and overnight. The lodge is located on Lemala Hill on the uppermost eastern rim of the Ngorongoro Crater, making this the only tourist development on the eastern rim of the crater. The views into the crater floor from here are spectacular and sunsets magnificent. Another major advantage here is that guests can enjoy a safari begins within five minutes of leaving the lodge, as the park gate is very close. The lodge is tastefully decorated, spacious and all the bedrooms are modern, comfortable and equipped with everything one would expect from a hotel of this class. With an altitude of 2,375 metres, the lodge experiences cool and even cold weather, especially during the winter months of June and July when temperatures can get as low as 10' C. However, guests enjoy sunshine during most of the year and must take care when sunbathing by the pool due to the altitude. The food and service here is stylish with meals being a massif collection of delicious international and Tanzanian dishes. Departing Ngorongoro Crater after breakfast and head south east en route to Lake Manyara, Mto wa Mbu village and Tarangire beyond. Through the highlands and the Karatu district, you’ll view the scenic wheat plains and coffee plantations here before journeying down the spectacular escarpment where you turn south on to the main Arusha – Dodoma road and into the park. From here to the lodge, you’ll enjoy a game drive en route to your lodge. After lunch and perhaps a swim, the remainder of the afternoon will be spent on a game drive. Overnight at Tarangire Sopa Lodge on a half board basis. 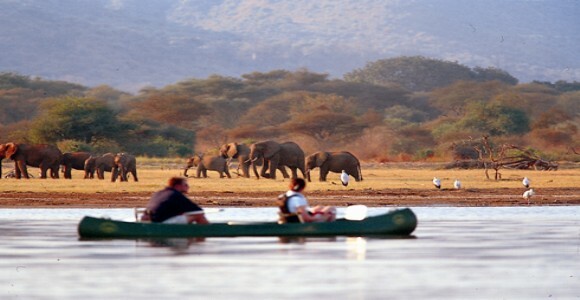 Tarangire is recognised as one of the best parks on the northern circuit for elephant viewing during the dry season and Tarangire Sopa is ideally placed to experience this. The lodge welcomes guests to its vast marble-floored reception area with cold flannels and iced juice. In the pretty gardens a large circular pool with a central island, a pool bar and elegant wooden loungers demonstrates the lodge's commitment to comfort. Delicious barbecue lunches are often served here. A broad veranda wraps itself around the lodge and gives prime viewing for the waterhole below, which is filled during the dry season and becomes a magnet to wildlife. 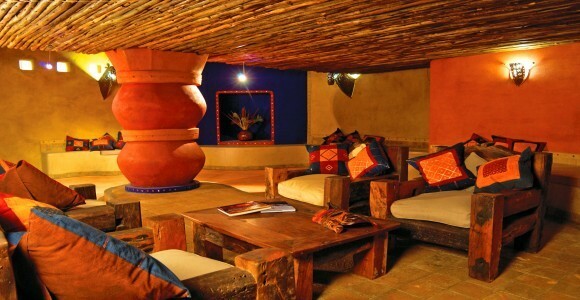 The rooms at the lodge are simple, comfortable and spacious and arranged in groups of four, in African-style buildings. Large sliding doors open to a private balcony. Depart Tarangire after breakfast and drive back to Arusha arriving in time for lunch. After lunch you continue the journey by road to Nairobi arriving in Nairobi late afternoon and proceed for dinner in Nairobi city centre before drop off at JKIA airport or City centre Hotel.